Stress, Depression, and Anxiety in Students: Students are worried because they are anxious, frustrated about whether they will be able to live up to the expectations of their parents, peers, and teachers. 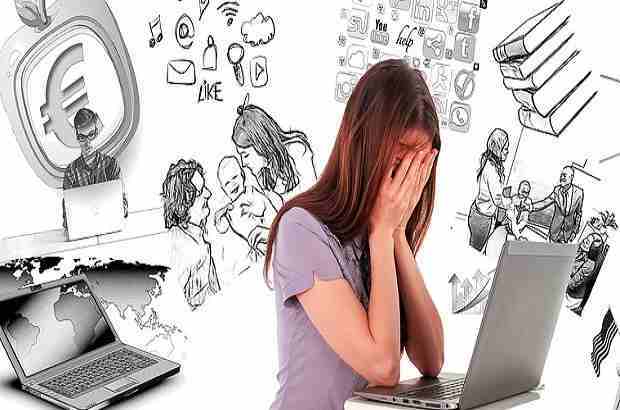 Stress or depression is a part of everyday life which sometimes gives rise to feelings of anxiety. Tension is felt when we face a new or threatening situation. College students are no different from anyone because they also experience stress and anxiety in today's world. They are constantly facing new situations where the result is often uncertain. Children learn how to respond to stress and anxiety as they develop and grow in their lives. Many stressful events managed by adults can cause stress and tension in the child. Consequently, even small changes can affect the safety and security of the child. 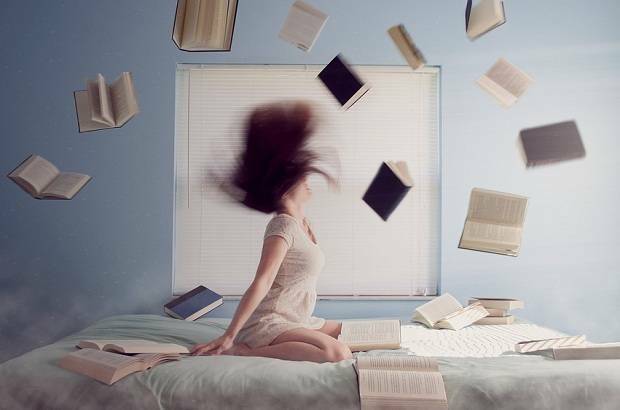 In this article, we have discussed why students experience stress, depression, and tension in their school or college lives and we have mentioned some tips and tricks to resolve this type of situations. 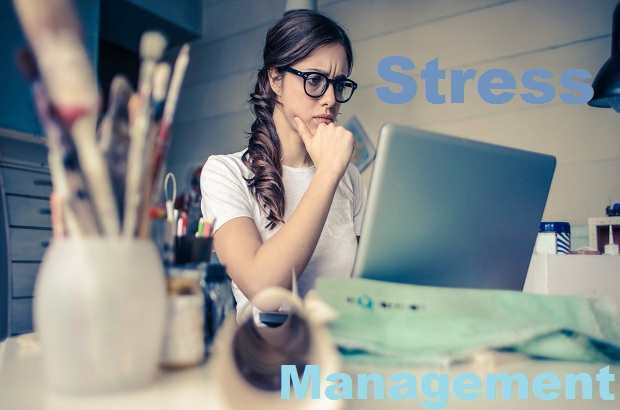 After reading this article you may able to understand the causes of stress and anxiety and learn to manage by doing some simple tasks and activities and you can concentrate and focus on cool thoughts and normal actions. Stress is the body's response to various stimuli, including chemical, physical, emotional, or environmental factors. Tension is a normal part of life and something that everyone experiences in its life. Acute stress is short-lived and in this, the adrenaline and cortisol are released to the body, which helps you react quickly when necessary (for example, when you encounter something dangerous). However, chronic stress is undergoing a high level of stress hormones that can compromise your immune system and cause serious health problems such as tension, depression, and anxiety, whether chronic or acute is not medically diagnosed as mental health disorders. As the fast exam season approaches, many students see writer's cramp as a natural risk for the hectic, reviewable, and paper-based articles they are currently writing. But they may create the basis for repetitive strains injuries in the future- these problems can be completely avoided by taking simple precautions. According to the RSI Association, the term repetitive stress injury (RSI) is not medically diagnosed; the RSI association is a charity which provides support and advice to patients. Like the term sports injury, it tells us more about how the injury was compared to what was actually done. Often, people first see the pain in their hands and wrists, but RSI can affect both upper and lower limbs and spinal cord. Symptoms include weakness, numbness, sharp pain, loss of grip, tingling, dull ache, and restricted movement. An experience of anxiety is similar to fear; it can be fearful of any particular or fear that causes no reason. Many people experience anxiety in relation to common stressful events such as upcoming submission deadlines and exams and this concern can be short-lived. However, when the anxiety continues and the intervention begins in the ongoing daily work, it is diagnosed as an anxiety disorder. It is important to know why; they can become angry or worried, depressed, frustrated, anxious, or sad. When young adults get overwhelmed by stress, they sometimes take others away or strike. Parents often feel insufficient to respond to the stress experienced by their children. Why do children or adolescents get stressed? Why do adolescents get stressed? Adolescents have to face the demands of their development work and complex society. To overcome these demands in the emergence of unaffected adulthood, they need to get the skills of adjusting. If too many demands are made on them and they realize lack o these skills, they fail. Students are worried because they are anxious, frustrated about whether they will be able to live up to the expectations of their parents, peers, and teachers. Optimal anxiety inspires and keeps them ahead while over anxiety is disabling. Anxiety is contagious and passes on other students, teachers, and parents. Adolescents, when stressed, they get everything as an emergency. The crisis is identified for some reasons for increasing the level of stress, there is a need to make career-oriented decisions, peer pressure, and the attitude of teachers and parents. The inability to communicate and share feelings with parents also plays a major role. Stress can be the answer to the negative change in a child's life. In small quantity, stress can be good. But, excessive stress can affect the way the child thinks, feels and acts. Children may not recognize that they are stressed. New or worse symptoms can cause parents to suspect an increase in stress. If you're already feeling stressed or anxious, small, simple adjustments can make a big difference when it comes to managing stress and anxiety. If you’re experiencing exam-related stress or anxiety, remind yourself that the exam period has the end date and it will be over soon. Hydrate yourself with water all day to keep your body and mind working well. Eat well to give fuel to your body and brain properly. Engage in positive self-talk to get self-confidence. Think positively, a positive idea is the seed of positive results. Always feel positive, it will help to reduce stress. If a student has symptoms of depression or anxiety, immediately seek medical help. Face your worries and fears head-on. Worry can be strengthened by avoiding stressful or social situations - Feel the worry or fear and do it anyway. Do not try to be perfect: reminding yourself that your best is something to be proud of. Take a short break to visit historical places and to meet friends. Get enough quality sleep: your brain is the fastest and most suitable after six to seven hours of sleep, therefore, seven hours of sleep is necessary for optimal physical comfort and brain work. Although some students can live up to 4 o'clock to study or work on their thesis, this is not a healthy habit. When you take enough quality sleep, your brain is more efficient, so be sure to set enough time for comfort. Manage your time more effectively, it helps you to accomplish things and reduce stress. Think about that day when you are most effective and have the most energy. During these days, I plan to do my hardest job. Exercise is useful in reducing anxiety and improving sleep. So you should make a habit of regular exercise. Fast walking, swimming, jogging, aerobics are effective in keeping the heart healthy. Whenever possible, you should be walking or cycles to cover a short distance. The journey is very pleasant and a source of knowledge but also stressful. You can practice some simple exercises while traveling to reduce stress. Hobbies help in reducing stress. Hobbies can be refreshing in sleep. They help themselves in promoting the image and forget the faces and the failures in life. Often work cannot give any pleasure to a person. However, since a person chooses a hobby according to their own nature and abilities, they are very happy. They are raising a healthy mood. Slow down. The fast pace of our complex life is often stressful in itself. Students at home college require privacy and quiet time, and when they can use their imagination and process the events of the day, unchecked time is required. How parents can help children? How parents can help children in learning? Provide a safe, secure and dependable home. Family routines can be relaxing. Eating a family dinner can help to get rid of stress or to stop. Be a role model for your children. The child sees you as a model for healthy behavior. Do your best to keep your stress under control and manage it in a healthy way. Be careful about what television shows, books, and games that your small children see, read and play. Because many news broadcasts and violent shows or games can cause fear and anxiety. Keep your child informed about the estimated changes such as jobs or walking. Spend quiet, relaxed time with your children. Learn to listen. Listen to your child without being serious or try to solve the problem immediately. Instead, work with your child to help them understand and solve them. Talk about it. Talking to a trusted adult helps students think that they do not burden alone stress. Encourage your children to discuss their feelings, but avoid telling them how they should feel. Ask open-ended questions which complete more than a yes or no response. Remember to hear: Parents who listen twice as much when advising, are more effective. Build your child's self-worth and feelings. Use incentive and affection. Do not punish more, use the prize. Try to include your child in activities where they can succeed. Let children choose opportunities and keep some control over their life. The more your children feel that they have control over a situation, their reaction to stress will be better. Identify signs of unresolved stress in your child. Get help or advice from a healthcare provider, consultant, or physician when signs of stress do not diminish or disappear. Set your standards high, but do not expect to be perfect. One of the most important gifts to give to children is the feeling of positive self-esteem. Gaining targets contributes significantly to the development of self-esteem. Due to the unrealistic hope that your children should be right, they set up to experience stress, self-doubt, and failure. Keep life in perspective. College students often get confused about the present moment. They can feel overwhelmed because they can not see beyond the immediate problem. They have difficulty identifying choices and options. 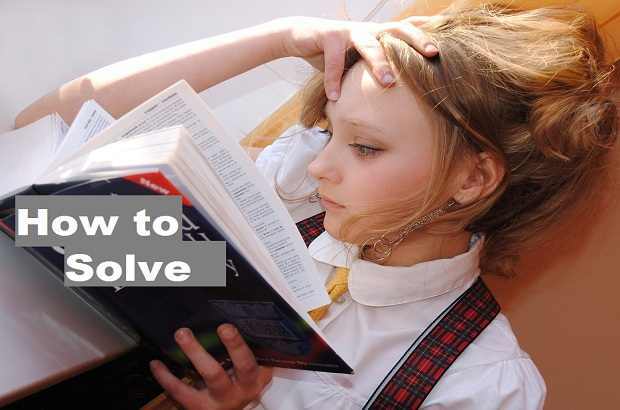 Help your child understand that there are solutions to problems. Also, assist them in identifying temporary concerns and enduring values. Stress can often be reduced by reminding them that life is going on and tomorrow may be better than today. Teach them good faith, ways, and ethics and factual things and do them so that they distinguish between good and bad. Good concentration is essential to improve memory. It is useful to learn and remember by memorizing and recalling what one has learned. It is important to organize and prepare a logical relationship. Dexterity or mastery is not the only subject matter, but the process of answering is equally important. To maintain calm and peace, you need to train yourself to think positively. Every year students who are unable to cope with despair because of failure or less performance take extreme steps to commit suicide. This is definitely a very negative step and shows a lack of positive thinking. The failure of the exam is not the end of the world. Apart from this, many geniuses and talented people failed in their examination. Failure is never lasting and success is never an end. Mahtab Alam Quddusi, A graduate of science (B.Sc - M.Sc), A passionate writer, Editor, and founder of "The Scientific World”.